It never ceases to amaze us when we look at marina designs by well respected land planners and see how completely inefficient (and often unsafe) they are for the marina operator and patrons. 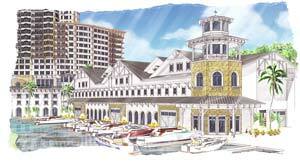 This is especially prevalent in mixed use, hotel and resort projects where a marina is only a portion of the overall plan. While most experienced marina operators have similar visions and will come to many of the same conclusions that we will in reviewing or producing a site design, that's the point. 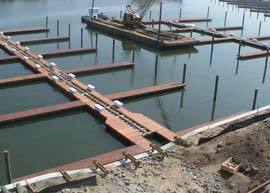 Our planning and design services are geared to the developer, operator or investment group that must rely on experts to produce an effecient and safe marina no matter what type of property it is located on. facility is being designed to meet the needs and desires of the guests it is actually being built for. AMM's construction management team works with the world's top marine con-tractors, service and equipment pro-viders managing permits, schedules, materials, processes, inspections and all other project aspects to provide you with competitive pricing and on-time quality construction. There are many things to consider when building a marina facility, much more than an average commercial buidling or retail property. The incredible weight loads of boats and mammouth lifting equipment for modern dry storage, or the destructive force of waves, sea currents, storm surge and even hurricanes are just a few items that must be carefully considered when selecting construction methods and materials.